Cinco de Mayo (Spanish for “fifth of May”) is a holiday that was created by Mexicans living in California. It is not a Mexican national holiday, but instead, commemorates the Mexican army fighting the French at the Battle of Puebla, on May 5, 1862. Although this battle was not a victory for Mexico, Cinco de Mayo symbolizes Mexican heritage and pride. 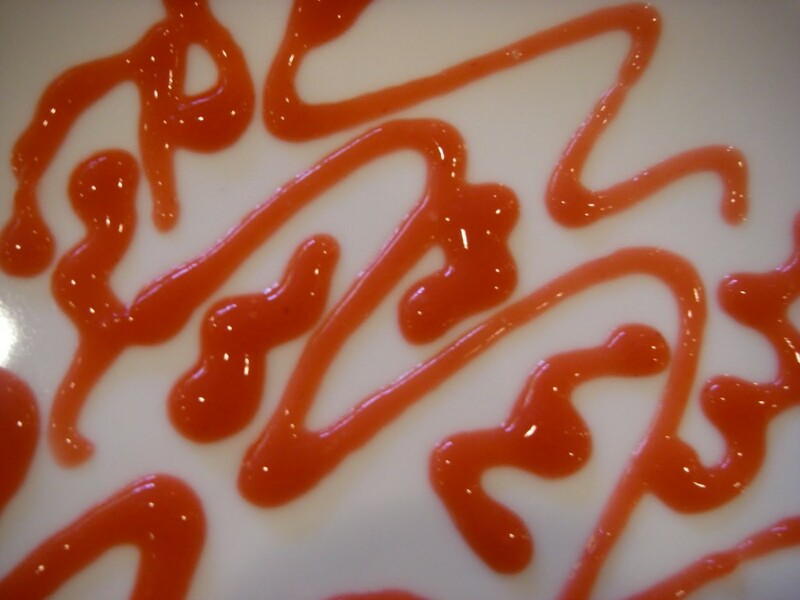 I’m celebrating this holiday by going to a “fiesta” and contributing these Tabasco Parfaits which combine Tabasco® Spicy Pepper Jelly and the French dessert “parfait”. The pepper jelly’s “bite” adds a nice surprise to the strawberry gelatin and overall flavors. My dessert unites Mexico and France – peace at last! 1. Place contents of lime Jell-O in a 1-quart bowl and stir in 1 cup boiling water until Jell-O is dissolved. Add 1 cup cold water and stir; set aside. 2. Place contents of strawberry Jell-O in a 2 or 3-quart bowl and stir in 1 cup boiling water until Jell-O is dissolved. Add 1 cup cold water and stir; set aside. 3. Fill 10 glasses or ramekins each with ¼ cup lime Jell-O liquid (glasses or ramekins should look 1/3 full). Place in freezer to set, about 18 to 20 minutes (check after 15 minutes to make sure they do not freeze). 4. Once set, top lime Jell-O with some Cool Whip (to fill the middle third of the glass) and transfer to refrigerator. 5. In a drinking glass, stir together the Knox gelatin and 1/2 cup cold water; let rest 5 minutes. Stir the gelatin mixture and the spicy Tabasco pepper jelly into the strawberry Jell-O. 6. Place the bowl with the strawberry Jell-O mixture in freezer to set, about 20 minutes, or until the Jell-O has thickened and looks lumpy (it should not set completely). 7. Using a 1/4-cup measure, pour the partially set strawberry Jell-O mixture over Cool Whip in each glass, filling it to the rim. 8. Place the parfaits in freezer to set, about 15 minutes; transfer to refrigerator for 1 hour or overnight. 9. Garnish each parfait with a lime or orange chewy candy wedge. Note: Tabasco® Spicy Pepper Jelly is available at most supermarkets or online at the Tabasco® Country Store – http://countrystore.tabasco.com. “Fiesta” theme decoration by © Amsan, Inc. This whipped cream recipe is not only quick but lots of fun, too. Each time you stir in a tablespoon of sugar, you get to taste the cream. For those of us who are blessed with a sweet tooth, the sampling can go on for quite a while – and we love it! 1. Pour the cream in a 1-quart mixing bowl. 2. Using an electric hand mixer, beat the cream until stiff peaks form. 3. Gradually stir in the sugar, one tablespoon at a time, tasting after each addition. 4. When the whipped cream reaches desired sweetness, do not add any more sugar. 5. Use whipped cream to garnish desserts such pastries, cakes, pies, ice cream and sorbet. It can also be enjoyed as a dip or garnish for cookies or biscotti. Note: If using a stand mixer fitted with its own bowl, let the machine do the work! 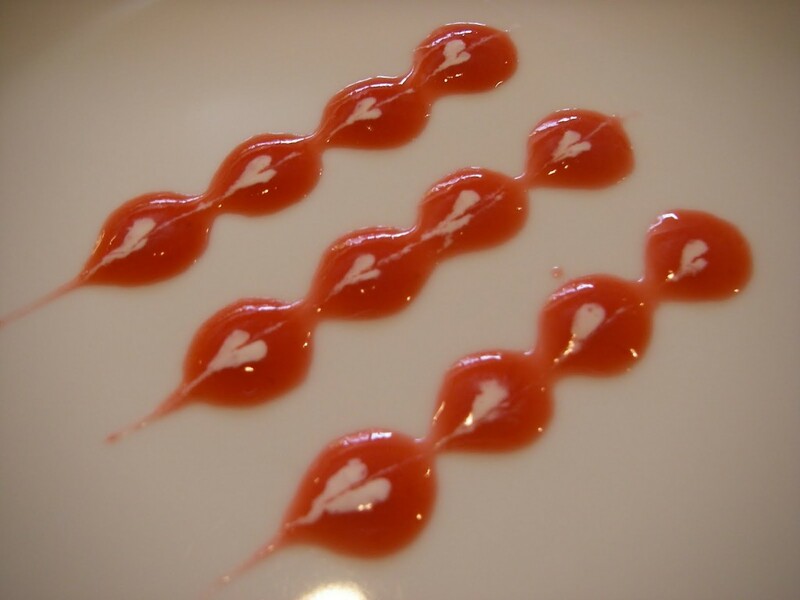 Many people believe coulis is a vegetable or fruit sauce that only true professionals can make. They’re all wrong. In all my years of cooking and entertaining, I’d say this is by far the easiest and most popular recipe I’ve ever made. Beginner cooks beware – you can make this raspberry coulis in your sleep. Sweet dreams! 1. Puree all ingredients in a blender and strain into a bowl. 2. With a spoon drizzle the raspberry coulis onto and around desserts. Note: Don’t be afraid to experiment with different designs. Just look at my not-so-perfect photos – the messier it is, the more artistic it appears! I’ve been fantasizing about peaches lately, but I’ve been lazy about preparing and rolling out pastry sheets. Thanks to ready made pastry, this luscious peach dessert is assembled in only 25 minutes. 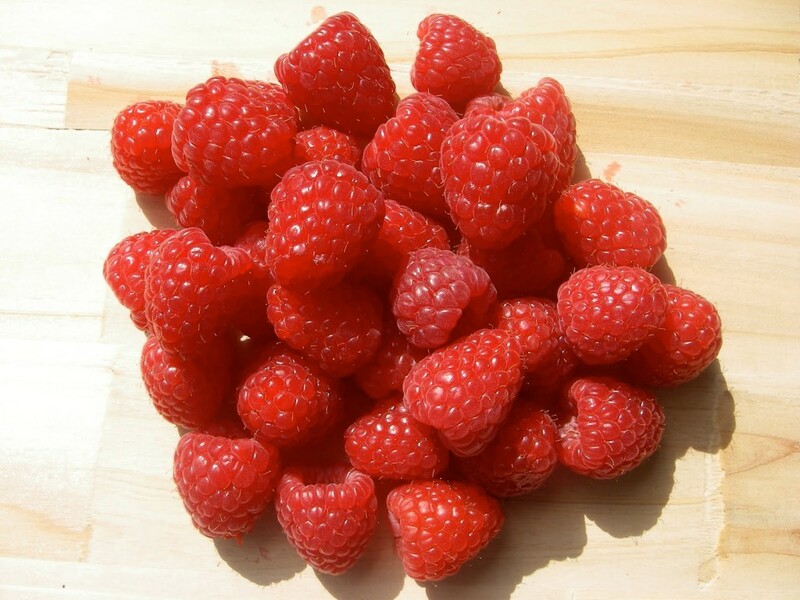 Red raspberry coulis adds color and delights all your senses! When serving, take in all the “oohs” and “aaahs” – your guests will think it took you hours to create this masterpiece. 1. Preheat oven to 425F and line a 12 X 18-inch baking sheet with parchment paper (alternatively, grease and flour the baking sheet). 2. On a flat surface, lay out two pastry sheets next to one another; set aside. 3. Meanwhile in a 2-quart bowl, stir to combine cut peaches with the sugar, flour and cinnamon; set aside. 4. With a pastry wheel or a knife, cut one pastry sheet in half lengthwise (vertically). Cut each half into three equal pieces – you now have 6 pastry rectangles. 5. Repeat with remaining sheet – you now have 12 pastry rectangles. 6. Divide the peach mixture evenly among 6 pastry rectangles. 7. Cover each peach filling with remaining 6 pastries; trim edges with pastry wheel or a knife to form neat rectangles. 8. Carefully transfer each peach pastry onto prepared baking sheet. Cover edges of each pastry with thin strips of aluminum foil – this prevents burning. 9. Place baking sheet with pastries on a rack positioned in center of oven for 15 minutes. 10. After 15 minutes, remove foil strips and bake an additional 2 to 3 minutes – monitor this carefully to prevent blackening. 11. Transfer baking sheet with peach pastries to a counter to cool 5 minutes. 12. Beginning at short end of each pastry, carefully slide a metal spatula between parchment paper and pastry. Gently loosen and lift pastry, placing it on an individual dessert plate. Repeat with remaining pastries. 13. Decorate each plate with the raspberry coulis; garnish pastries with whipped cream and mint leaves. Serve warm. Variation: Using shears, cut pastries into squares, placing them on plates for decoration and garnish.